The Charlotte Zolotow Awards have been announced and there, as the winner, is my sister's book, "What Can You Do With A Paleta?"! the Zolotow is given annualy to the author of the best picture book text published in the USA in the preceding year--the Newbery of picture books if you ask me. Here is the article from School Library Journal about the award and all the books selected this year. 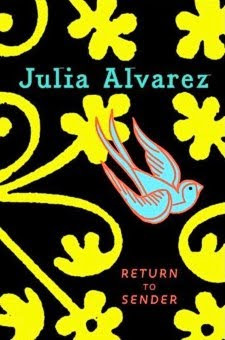 Another list I am looking at, trying to chose some more books to add to my reading list, is the 2010 Best Books for Young Adults. 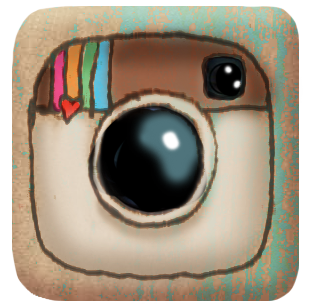 Find it here. Yesterday my friend Jim and I went to look for some of these books at The Storyteller here in Lafayette, a bookstore that exclusively sells children's books, and it is right here in my neighborhood. While we were there Jim and I decided to start a new tradition of ourselves. Every month we'll come together to the store and find at least ONE book that we love. Yesterday we both came home with our choice: Henry in Love, by Peter McCarty, have you seen that picture book? Exquisite! Want to come with us next month? Three Belpré Illustrator Honor Books were selected: “Diego: Bigger Than Life,” illustrated by David Diaz, written by Carmen T. Bernier-Grand and published by Marshall Cavendish Children. 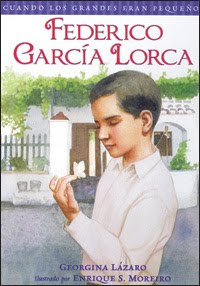 Two Belpré Author Honor Books were named: “Diego: Bigger Than Life,” written by Carmen T. Bernier-Grand, illustrated by David Diaz and published by Marshall Cavendish Children. Who wants to join us to celebrate today! We are going out for dinner and champagne. 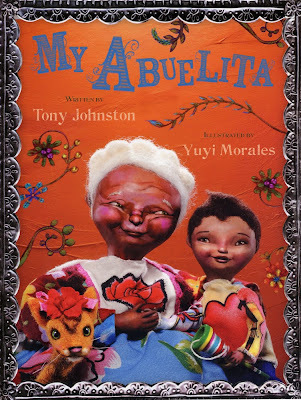 Here is a love confession to something old and something new--old like last year old, and I am talking about picture books of course, those that I read as 2009 was dying out and giving room to the New Year. Love # 1: Diego: Bigger than Life, by Carmen T. Bernier-Grand and David Diaz. The most felt book I read last year. If you want to know what I am talking about make sure to read the poem "No More Cezannes". However I was caught from the first book's lines: "What is life but a story? I choose to embellish my life story. / I am DIEGO--the charming, monstrous, caring, hideous, Mexican Muralist." 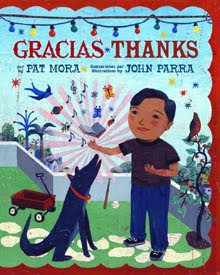 Love #2: Gracias, Thanks, by Pat Mora and John Parra. Parra is becoming one of my favorite illustrators; his paintings remind me of living my childhood. Here is Mora's way of reminding us of all the ordinary, yet fantastic things to be grateful for: "For the sun that wakes me up so that I don't sleep for years and years and grow a long white beard, thanks"
Love #3: My Papa Diego and Me. By Guadalupe Rivera Marin and Diego Rivera. 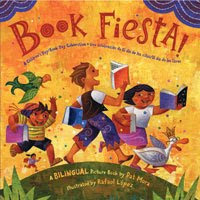 Of course, if a book is illustrated with the paintings of Diego Rivera, the book has to be extraordinary. Even the endpapers are a vision. But what I didn't expect was that this book would be such of such a loving telling. 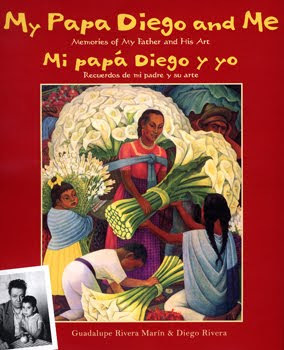 Diego's daughter writes in the introduction, "When most people think of my father, Diego Rivera, they think of him as a famous painter. and they're right, he did grow up to be a famous painter. But before he became a famous artist, he was like you--a child." 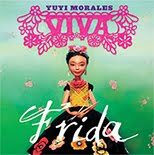 The selection of paintings are those that Diego painted of children, sometimes of Guadalupe herself, but also of mothers looking for a better life for their children, of piñatas being broken, of a coutry teacher giving reading lessons to children and adults alike. This book feels like looking at the family album while someone tells the stories behind. Love #4: Jeremy Draws a Monster, by Peter McCarty. What a detailed simple book! It is an ode to drawing, both in the story and in the art, and since drawing is one of my first loves, well, I adore this book. 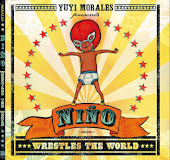 I heard about this book a few years ago while Rene and I ran into each other boarding a flight to Texas. As Rene talked about writing this story I couldn't wait for this book to be released. Rene tells me that Fabricio actually recreated in the book the same shoes that Rene had when he as a boy came into the USA.